Lllllllet's get rrrrrrready to rrrrrrrrrumble! WrestleMania XXXV is here and it's looking like one hell of a show. The likes of Triple H, Kurt Angle and Ronda Rousey are all on the card for the 35th edition of the 'grandaddy of them all' and with TechRadar's help, you won't miss a minute of a WrestleMania 35 live stream - regardless of where in the world you are. 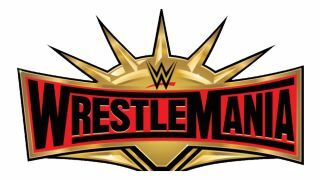 This year’s WrestleMania will take place today - Sunday, April 7 - at the MetLife Stadium in East Rutherford, New Jersey. The WWE’s biggest annual event seems to get longer and longer every year. This year the kick-off show starts at 5pm local time, with the main card starting at 7pm ET, 4pm PT, midnight GMT and 9am AEST on Monday. Judging from the last couple of years, you should expect the main WrestleMania 35 show to run for a little over five hours. For the first time in WWE history, the stated main event will be a women's match. Charlotte Flair, Becky Lynch and MMA legend Ronda Rousey will go at it in a triple threat match with both Raw and Smackdown Women's Championships on the line. Brock Lesnar will once again defend his Universal Championship against Royal Rumble winner Seth Rollins, while Kofi Kingston has the chance to win the WWE Championship from Daniel Bryan. Elsewhere on the card, former Evolution stablemates Triple H and the returning Dave Batista will go one-on-one, Shane McMahon faces The Miz, there's the André the Giant Memorial Battle Royal to enjoy and WWE Hall of Famer (and Olympic hero) Kurt Angle is in action against Baron Corbin. Talking of the Hall of Fame, old school favorites The Honky Tonk Man and Brutus the Barber Beefcake will be inducted alongside Harlem Heat, D-Generation X and The Hart Foundation. And that's as well as loads more matches, too - let's just hope for no more ring invasions from the crowd! It's going to be a packed event for sure and we’ll show you how to watch a WWE WrestleMania live stream online from anywhere in the world so that you don’t miss a minute. Scroll down if you're reading this in the US, Canada, UK, Australia, Japan or India - we've described your watching options in more detail down there (assuming that the WWE Network doesn't tickle your fancy). But if you're unlucky enough to be in a country where the only way to catch the wrestling is via some dodgy, illegal stream you've found on Reddit - or if you discover that your home coverage is geo-blocked where you are- then we have a top tip to get a much better way to watch. This is the #1 rated best VPN in the world right now. You can watch on many devices at once including Smart TVs, Fire TV Stick, PC, Mac, iPhone, Android phone, iPads, tablets etc. Check out Express VPN now and you'll also be able to claim 3 months FREE with your annual plan. First thing's first...the WWE Network is your first stop for the most comprehensive wrestling coverage on the planet. It's a paid subscription service (think Netflix, but only for the WWE) available pretty much anywhere in the world, from Afghanistan to Zimbabwe and including the US, UK, Australia and Canada. The cost of course varies from territory to territory, but the $9.99 or £9.99 monthly bills in the US and UK should give you a good idea. That includes the WrestleMania 35 live stream and the ability to re-watch every PPV the WWE has ever put on. Just wanting to watch tonight's event and don't want the WWE Network after tonight? Then there's a free trial available, too. Head to the WWE Network to sign up and new subscribers can test out the service for themselves for a full month. If you’re watching from the United States, then subscribing to the WWE network is your best bet as it is the most cost effective way to watch. Other pay-per-view providers including Dish and Xfinity are showing WrestleMania 35 but they cost upwards of $50. As is the case in the WWE’s home country, the WWE Network is also the cheapest, most convenient place to watch WrestleMania 2019 in Canada. However, you could choose to go with SaskTel, Shaw or BellMTS but expect to pay similar prices to PPV providers in the US. Sky Sports Box Office is the official broadcaster of the WWE in the UK and if you’d prefer not to commit to a subscription model on the WWE Network then it might be your best option. For £19.95 you can catch WrestleMania live at midnight and even rewatch the event over the course of the next few days thanks to multiple repeats. If you’re in Australia, then WrestleMania will be shown live at 9am AEST on Monday morning on the Main Event PPV channel for $30. Luckily though, WWE Network is also available in Australia, so that’s also a good choice if you’d prefer to save some cash and even be able to re-watch all of the WWE's PPV events. Neither Asuka or Shinsuke Nakamura are on the main WrestleMania card this year, but the may pop up in the Battle Royals. Not that we imagine that will stop die-hard pro wrestling fans in Japan from tuning in. The main card will start at 8am on Monday morning in Japan. The WWE Network has been available in Japan for the last few years, which makes it automatically the most affordable way to watch. Alternatively, DMM.com, J:Com and Sukachan are all listed as offering PPV options. WWE fans in India can tune in to watch WrestleMania 35 on Sony Ten 1 and Ten 2 on their televisions. The event will be telecasted live from 4.30am IST onwards.